Movie and television tie-in fiction novels are quite the mixed bag. Some people don't like them at all; they say, "If you've already watched the movie, why do you need to read the book?" I, however, enjoy them when they're done correctly. 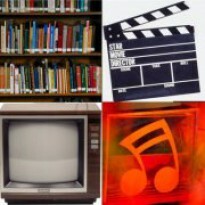 Usually, what makes a book that's based on a piece of cinema worth reading is the added content, such as scenes that were deleted, or planned but never filmed. R. A. Salvatore's novelization of "Star Wars: Episode II: Attack of the Clones" had several chapters of "new" content, which made it an excellent read. Although "Courageous" is not a space opera, the novelization of the Kendricks' latest cinematic outing is similar to the literary version of "Clones" in that respect. This might sound cliché to say, but if you've only watched the film, you don't know the whole story! 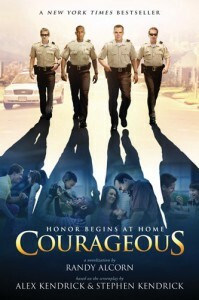 Numerous extra scenes, including right many featuring Caleb and Catherine Holt from "Fireproof" as well as other characters that do not appear in the film version of "Courageous," make this worth reading for any fan of the movie. I had a slight complaint--one scene in the novel wasn't as suspenseful as the movie made it--but that wasn't enough to diminish the greatness of this novel. In short, if you liked the Kendrick brothers' latest film, then you should definitely check out the book; you'll be glad you did.